Minister of Mines and Energy, Tom Alweendo this week said that Independent Power Producers (IPPs) should continue to be a feature of the county’s electricity supply industry and increase the local electricity supply without creating more reliance on extremely limited State investment funds. 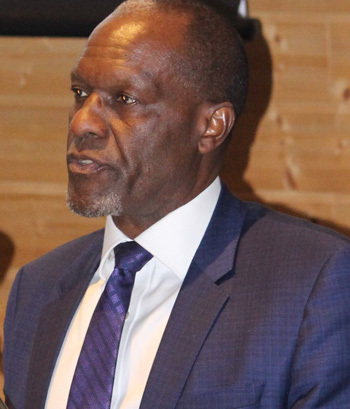 Alweendo, who was speaking at the 2018 Electricity Supply Industry (ESI) Forum in the Erongo Region, added that a reform process will be less than successful with the current structure that is characterized by a single buyer of electricity. “It is therefore important that we continue to reform our electricity supply industry with a view to encourage more private sector investment in power generation,” he said. Namibia is in the process of becoming more self-sufficient in terms of electricity production. As part of this process, 18 IPPs have signed Power Purchase Agreements (PPAs) with Nampower to supply 171MW of renewable energy generation projects. In addition, Cabinet has approved the National Integrated Resource Plan, which aims to find least-cost electricity generation options to meet the country’s needs over the next 20 years. However, despite these efforts and others, Namibia is still overly reliant on imports, importing approximately 60% of needed electricity. With regard to access to grid electricity less than 50% of our population are connected. Alweendo said that it is important to note that any policy that aims to create an attractive investment destination into this industry must take into account the unique type of resource that electricity is. He added that electricity is not simply a commodity; it is both crucial to development and a necessity for all people regardless of their social status. “The Ministry is aware that cost reflective tariffs has got the potential to place a heavy burden on the final consumers, especially the poor and vulnerable. Therefore in an attempt to ensure that customers are treated equitably, the Government through the Ministry of Mines and Energy has devised the National Electricity Support Tariff Mechanism. The mechanism intents to make electricity more affordable through a subsidized tariff to household consumers on connection capacity below 15Amps,” Alweendo said. NCA ready for meat exports?